R+Co Park Ave Blow Out Balm, 5.0 oz. 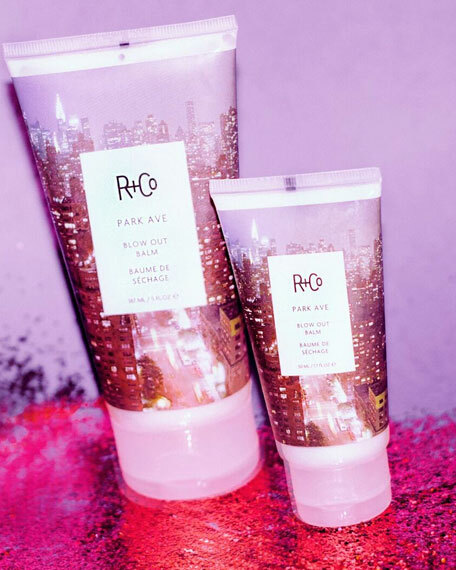 R+CoPark Ave Blow Out Balm, 5.0 oz. For those of you who simply cannot bear to go out with anything less than perfectly blown-out hair, there is Park Ave. It coats the hair to protect it and contains light hold for a little bit of body. How to: Work Park Ave through damp hair and blow-dry to your heart's content. Hydrolyzed Soy Protein, this ingredient moisturizes and improves hair's elasticity. Rice Protein, sourced from Brazil, this protein conditions the hair and improves strength and manageability.